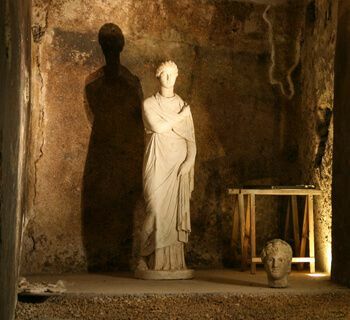 Italy’s capital is a diverse city where the ancient past meets the present. There are historic buildings to explore, stylish boutique shops to browse and a vibrant nightlife to experience. Our luxury holidays in Rome allow you to enjoy the VIP treatment with exclusive experiences such as after-hours visits to the Sistine Chapel and exclusive access to the Rome Academy. 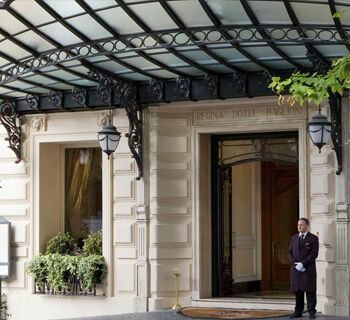 You’ll stay in 5 star hotels in Rome that have been handpicked for their comfort, style and service. Rome is home to various historical and cultural attractions, including the famous Colosseum and the Vatican. Other highlights include the Forum and the Pantheon, which were built in a time when Rome was considered the capital of the world. Go on a day trip to visit the preserved archaeological city of Pompeii and witness the devastation from when Mount Vesuvius erupted in 79 AD. Don’t miss the chance to hike to the volcano crater and enjoy sweeping views across the Bay of Naples. Rome is famous for its wide variety of shopping streets, including Via del Corso - one of the city’s longest streets. Clothes from leading Italian fashion houses like Armani and Versace can be purchased here, as well as many mainstream retail brands. For a more authentic shopping experience, there are several outdoor markets in the city. Porta Portese is one of the largest markets in Europe, selling everything from antiques and houseware, to clothing and jewellery. There’s an ongoing debate over which is Italy’s most romantic city - Venice or Rome. 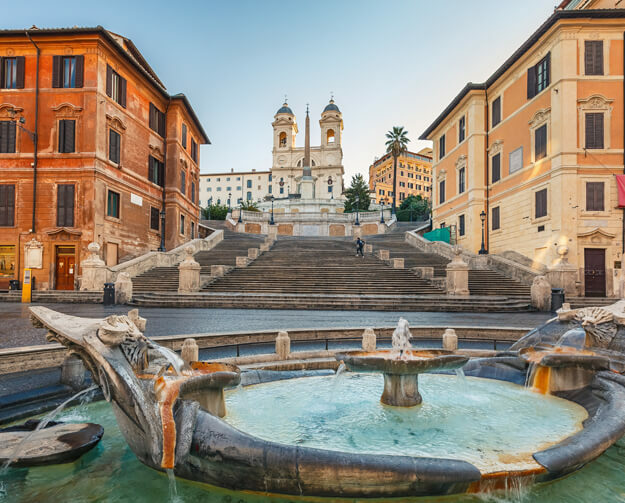 Those who support the latter talk of the Spanish Steps, which has featured in several romantic films. 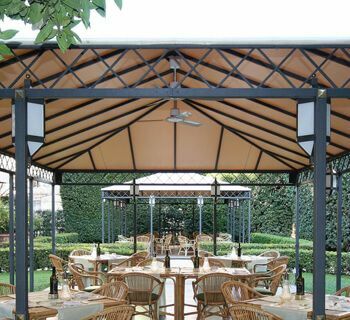 The Villa Borghese is Rome’s largest park, where couples can take boat rides around the lake, before making their way to the popular terrace at the Caffe delle Arti for a light lunch. Near the Vatican is the Castel Sant’Angelo on the banks of the River Tibor. Here, you can visit the private apartments of the 16th-century Pope Paul II that contain depictions of Cupid and Psyche.It’s also the setting for Puccini’s opera in which the central heroine Floria Tosca throws herself from the castle’s parapets in overwhelming grief after learning of her lover’s death. There’s no denying that Rome is a gastronomic paradise. You can enjoy fine dining with world-famous chefs or opt for a taste of traditional Italy in a family-run trattoria. Favourite local dishes include sumptuously fresh meat, fish and vegetables, often served up with pasta. For a unique experience, dine in the Palazzo del Rovere, which is housed in an ornate building dating back to 1480. The restaurant’s speciality is mouth-watering steak with vegetables and herbs. 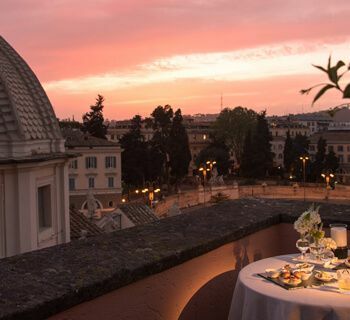 At Azure, we offer a selection of luxury hotels in Rome where you can enjoy this fascinating city in unparalleled style and comfort. Contact us today by phone or live chat and speak to one our expert advisors. We’ll be happy to tell you more about our high-end accommodation and help you create the perfect holiday package. At Azure, we offer a selection of luxury hotels in Rome where you can enjoy this fascinating city in unparalleled style and comfort. 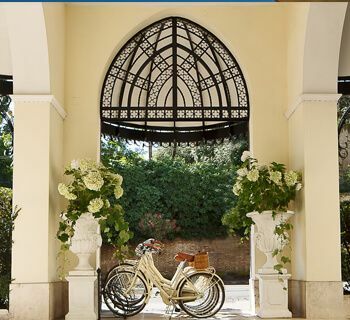 Located in one of Rome’s most sought-after areas, Aldrovandi Villa Borghese resides next to the lush green Borghese gardens and the historic landmarks of Borghese Gallery and Valle Giulia. It’s also just a short walk from the iconic Spanish Steps and Via Veneto, so you’ll never be far from the action. 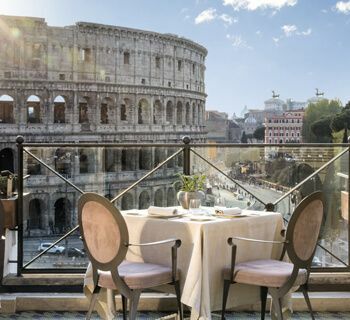 Perfectly situated in the heart of the city, Baglioni Hotel Regina is within easy reach of Rome’s major attractions, including the Trevi Fountain, the Spanish Steps and the Pantheon. The hotel is also right next to one of the best shopping streets in the city, as well as a selection of fabulous bars and restaurants, so you’ll never be far from the action during your stay.